World famous hacking activists Anonymous say that NASA is "on the verge" of announcing the existence of aliens. Anonymous is known for its hacking abilities into larger websites of news organizations and corporations. The international group of activists or hacktivists originated in 2003 on 4chan, representing the concept of many online and offline community users simultaneously existing as a singular anarchic, digitized brain. Many out in the world praise the actions of the activists while there are just as many who denounce their actions. Anonymous has now taken to their official Anonymous YouTube account to reveal that NASA will be announcing the existence of intelligent alien life. The caption for the video reads "NASA says aliens are coming!" The video has been watched nearly 1.5 million times with a huge section of comments, questions, and standard hate. Even more interesting is that the video has 3,142 likes and only 692 dislikes at the time of this writing. Anonymous' claim comes from a meeting in April of this year of the United States Science Space and Technology Committee. The video takes a quote from Professor Thomas Zurbuchen, the administrator for the Science Mission Directorate. He says this. 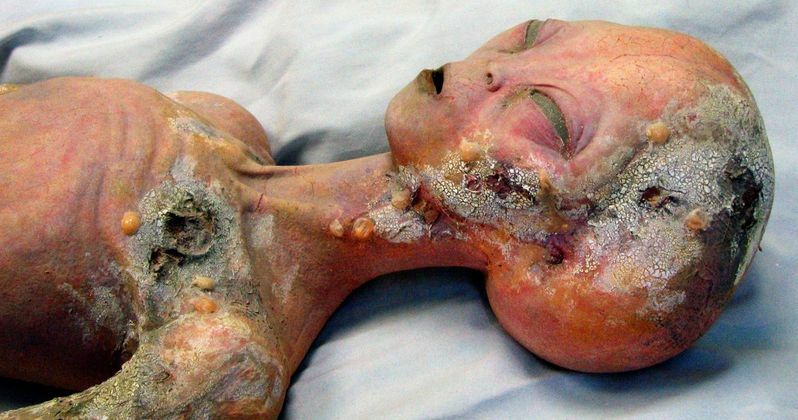 "There are many who claim that unofficially, mankind has already made contact with aliens and not just little micro-organisms floating around inside a massive alien ocean, but advanced space-faring civilizations." Professor Zurbuchen went on to expand on his original thought. He explains. "25 years ago, we didn't know that planets existed beyond our solar system. Today we have confirmed the existence of over 3,400 exoplanets that orbit other suns, and we continue to make new discoveries." The Professor then says something rather interesting about missions of the last 25 years and their focus. He says this. "Taking into account all of the different activities and missions that are specifically searching for evidence of alien life we are on the verge of making one of the most profound and unprecedented discoveries in history." The new findings represent a huge explosion of knowledge that we have obtained in such a short amount of time, but does it prove the potential of possible alien life on other planets? The video goes on to say that NASA has slowly been trying to prepare the world for their upcoming announcement, an announcement that could very well change the world forever. But we trust the views of Anonymous on this subject? Anonymous' video adds that a number of the most recent findings are providing grounds for optimism that humanity must be close to encountering life that is not native to earth. Now there are already a lot of people saying that the information is completely and utterly false, but there has not been an official statement released by NASA at this time to dispute Anonymous' claims. It is entirely possible that Anonymous is capable of hacking into NASA, so one has to wonder why they're taking information that NASA has already made public and reading in between the lines. Regardless of what you may think, the recent scientific discoveries in space are a giant leap forward to humans understanding the universe around them. We'll just have to wait and see whether NASA makes a big alien announcement in the near future. Check out the video below and decide for yourself.